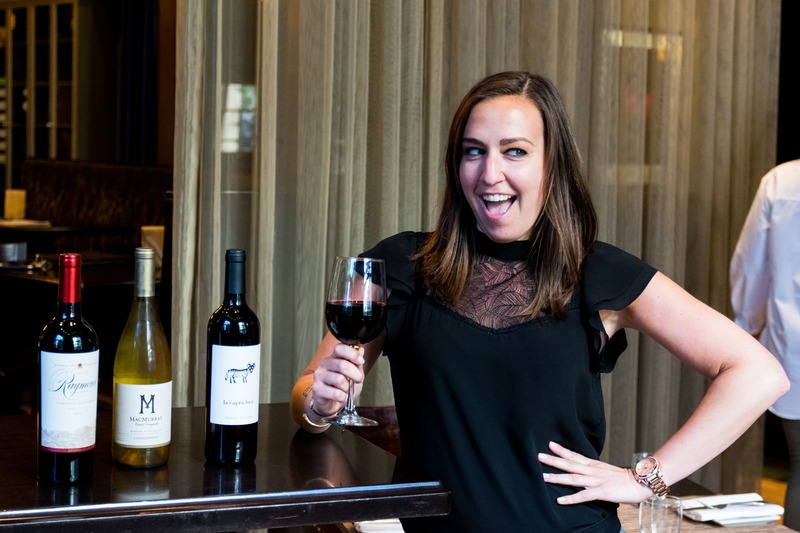 After working in food and beverage here at The Lenox Hotel for almost 11 years, I have learned many things; one of these things is that the best way to complete a meal is with a nice glass of wine. Our wine list at City Table and City Bar has a variety of selections – something for everyone and every palate. We are excited to have wine from places all over the world, including, but not limited to Argentina, Spain, Germany, and Italy. If you’re more interested in domestic wines from places like Oregon and California, don’t worry, we have plenty of those as well. We always try to keep the list fresh (no pun intended) by switching out the selection with every season. As we enter the cooler temperatures of Autumn and (before you know it) winter, our wine list will be focused less on the crisp “porch wines”, such as Rosé, and more on the fuller-bodied reds to warm you up throughout the brisk Boston winter. The first of these wines that comes to mind is the Raymond Cabernet, which is a rich and bold red wine from California. This wine can either be enjoyed on its own or paired with one of Chef’s delicious steak dishes, specifically the pan-seared filet mignon. If fuller red wines are not always your thing, our bottle of La Capra Loca, which directly translates to “the crazy goat”, is a medium-bodied Spanish red wine that should be just to your liking. However, our list of red wines doesn’t stop there! We have plenty of Pinot Noir, Malbec, and Bordeaux selections to choose from. Though fall and winter definitely bring cooler temperatures, it is definitely a myth that white wine cannot be enjoyed during these months. The MacMurray Chardonnay, and oaky white wine from Russian River Valley, California has been a favorite of many of our guests, and also one that I would recommend for white wine lovers in the fall. The hints of vanilla and citrus allow the MacMurray to be enjoyed with a number of our fall dinner entrées, including the Roasted Chicken with apple slaw and carrot purée, or the pan-seared scallops served over chorizo and corn casserole. And lastly, what would a wine list be without a little bubbly? Whether you are enjoying a glass with our berry shortcake or celebrating a special occasion, everyone needs a little sparkling wine in their lives! Want to make your own opinion on our new wine list? Come on over to City Table!